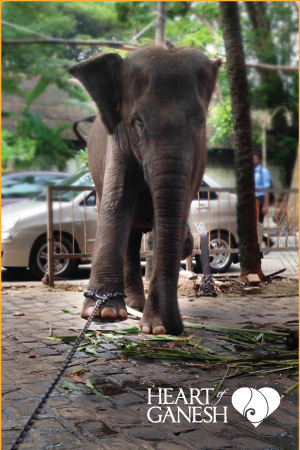 For Temple Elephants, Suffering is a Way of Life. 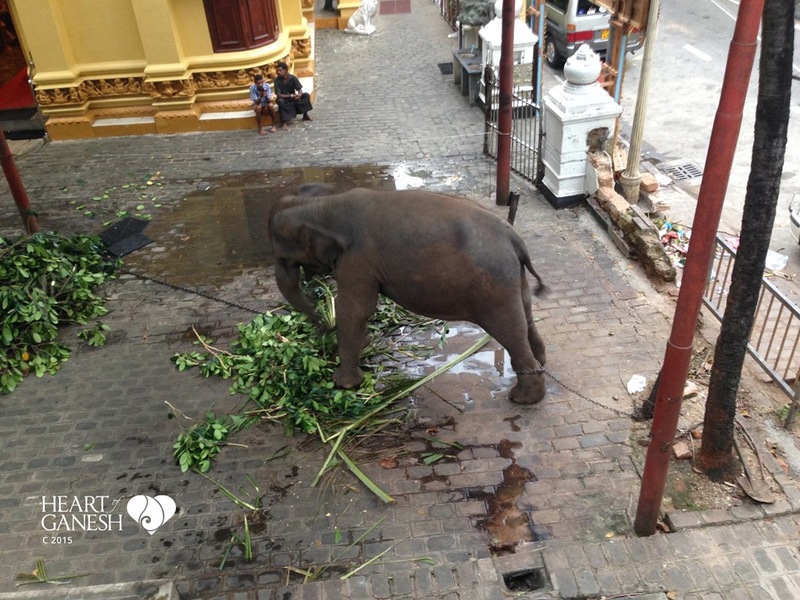 Temple Elephants, or “Gods in Chains”, are often snatched from the wild, torn away from their families, and forced to live their entire lives chained up alone as living displays of fortune, prestige, or good luck. In temples – where people come to remember how to be kind and compassionate. This is holy? From a young age they are chained for extensively long periods of time, often living their lives able to face only one direction. Unable to even turn around, they are left to rock, sway, and bob for hours, days, and weeks on end, both to help ease the pain from their chains and to help ease the desolation of their confinement. 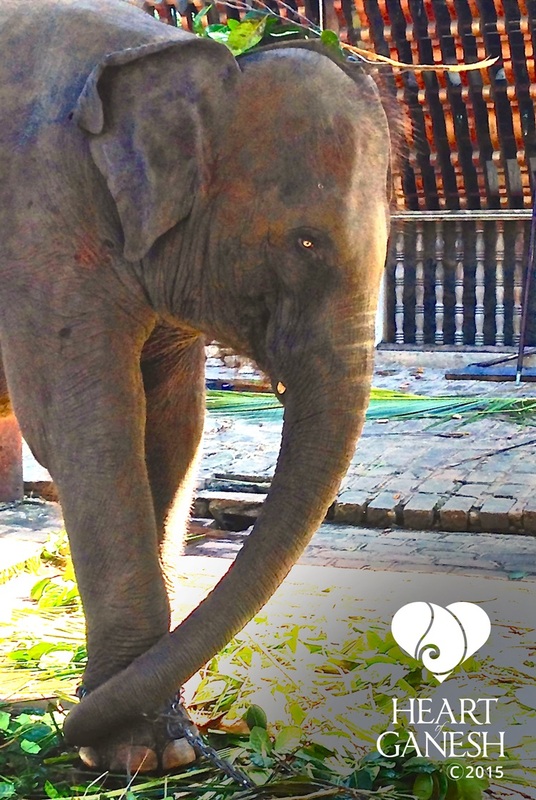 Denied of companionship from another of their own kind, and without having their most basic and humane needs met, Temple Elephant’s real lives aren’t anything like the revered stories handed down through generations of myth and faith. 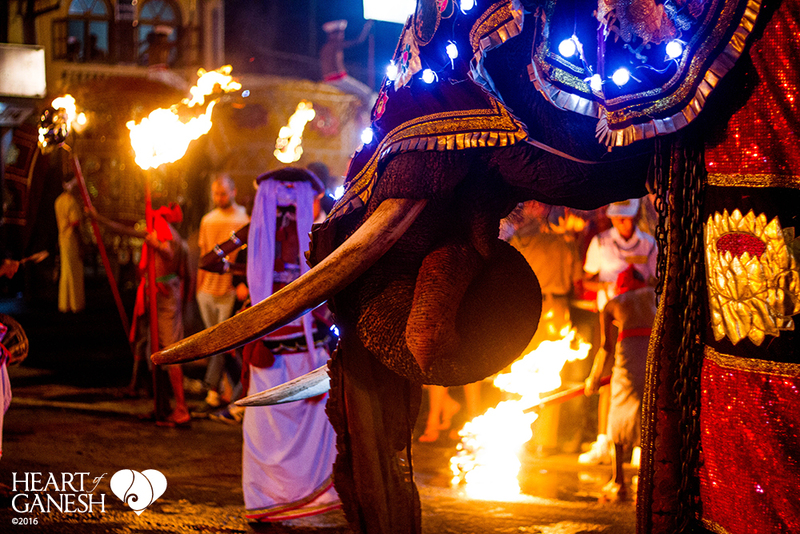 During the festival season it goes from bad to worse as elephants endure chaotic religious processions that often last for days without ceasing, during which many are deprived of food, water, and sleep. While remaining sensitive to the historical and cultural connections between elephants and many belief systems, how can a compassionate philosophy not include the elephant hobbled in the back of the temple? By the time the season is over, many of these “Sacred Beings” will be utterly malnourished, dehydrated and sick, and will go right back to being tightly chained in the temple until the next round of processions begins. Is a lifetime of abuse in the name of tradition and a few photo ops really worth it? Temple elephants are often more for political status than religious freedom, and are living status symbols used for display as cultural icons. Wealthy businessmen and politicians often own the elephants, renting them out for parades, processions, and a life of confinement in temples. Such owners rarely, if ever, actually see the elephant, whose daily care would be from a mahout, and a very poor one at that. In addition to politicians, high ranking monks and religious leaders often own the elephant in the room – how can we not ask them to offer the same kindness to the elephants that they give to those they pray beside? 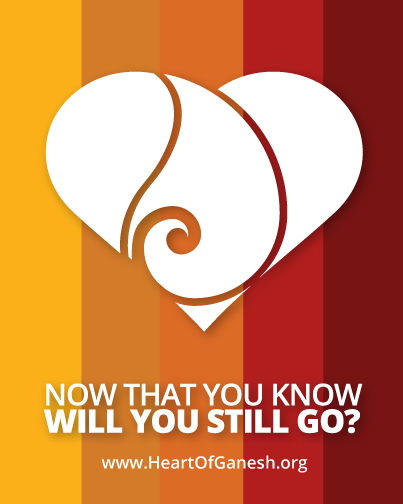 You can help turn the tide toward Compassion. No matter how moving a religious celebration filled with temple elephants might be, or how mystical and exotic it might appear to see parades of painted elephants adorned with fabrics and paint, ask yourself what cruelties you didn’t see that had to take place to create the illusion of what you did get to see. And as much as you might want to be blessed by the monk or have a snap taken with the adorned temple elephant, doing so perpetuates the very cruelty you want to change. So how do we change a practice that is such a politically sensitive issue, one in which the very people who can change the future for the better are the very ones who see nothing wrong with the present? We start with the very thing we might go to a temple for: compassion. 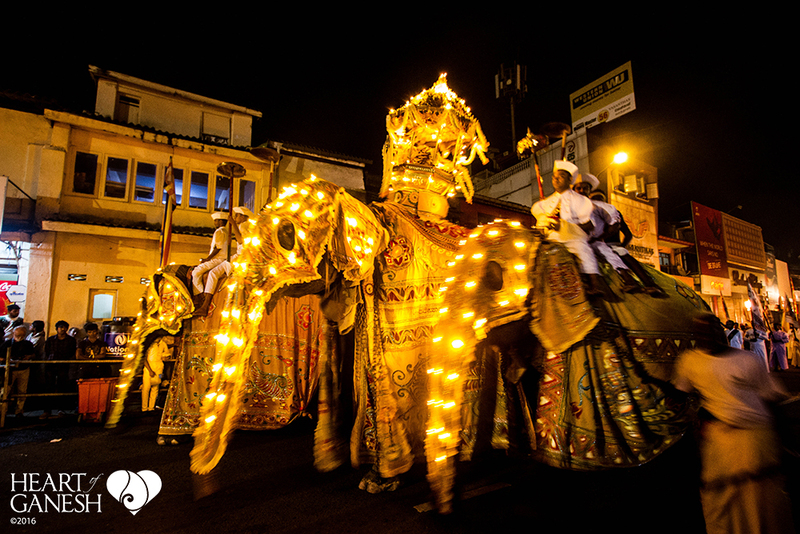 This is Ganga, a temple elephant in Sri Lanka, and Heart of Ganesh was originally created in response to her suffering. After years of fighting in support of Legal Counsel from the Centre for Eco-Cultural Studies, her case is currently in the Sri Lankan Supreme Court. The moment we met Ganga we knew we could never forget what we saw and we hope you won’t either. 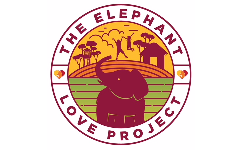 The work takes far more patience than what comes naturally…Such changes require the willingness to have open minded dialogues with foreign cultures and conflicting attitudes, the capacity to set the ego aside to cultivate a network which embraces the skills of diverse groups and individuals, and the resiliency to hold the immense suffering of the elephants and people alike until our one goal is met: to create a world where compassion trumps captivity for both the elephant and the human heart.